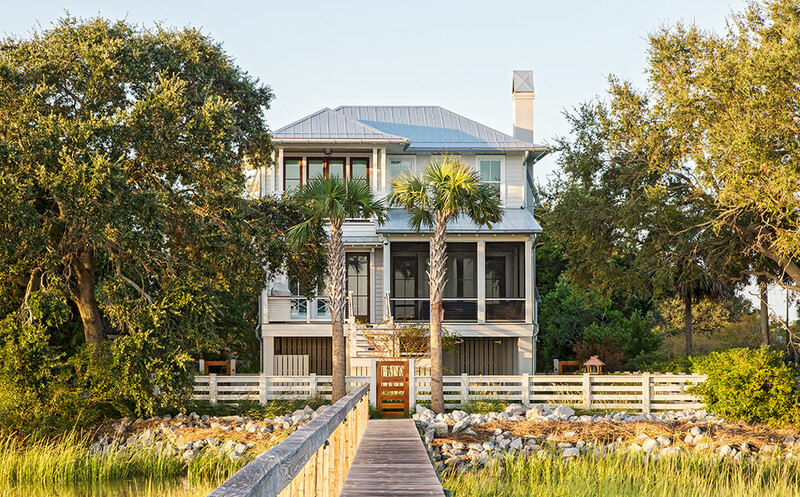 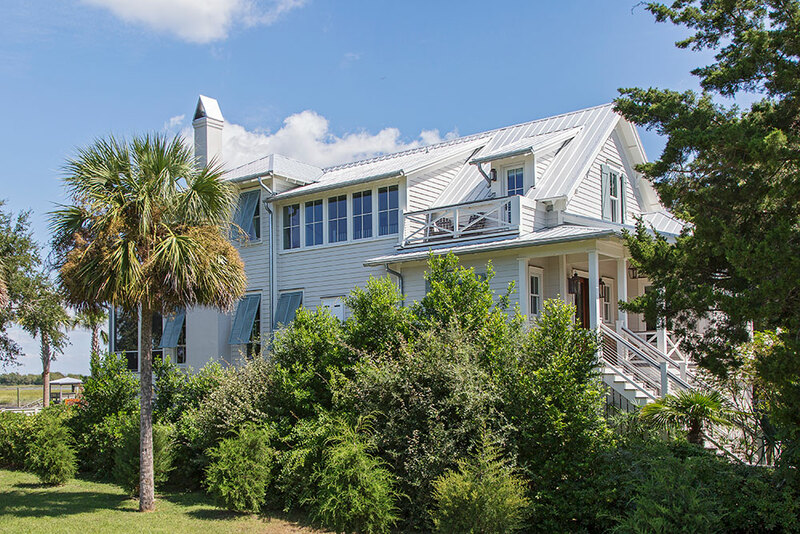 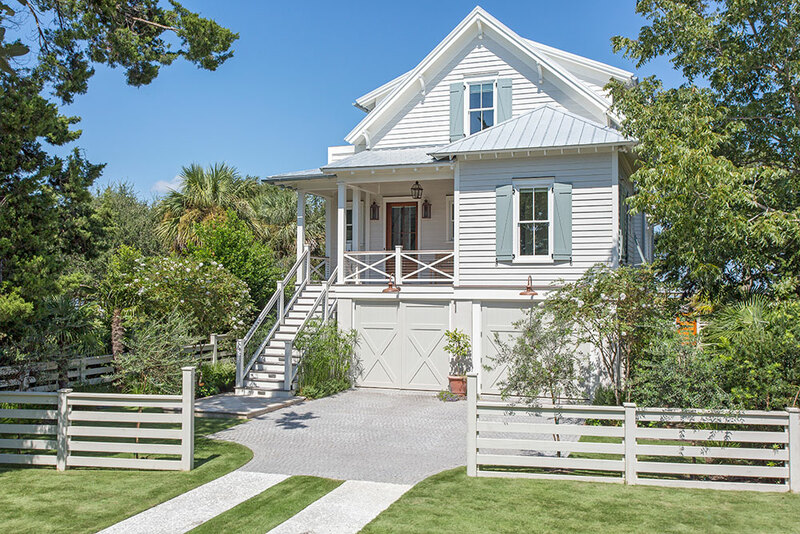 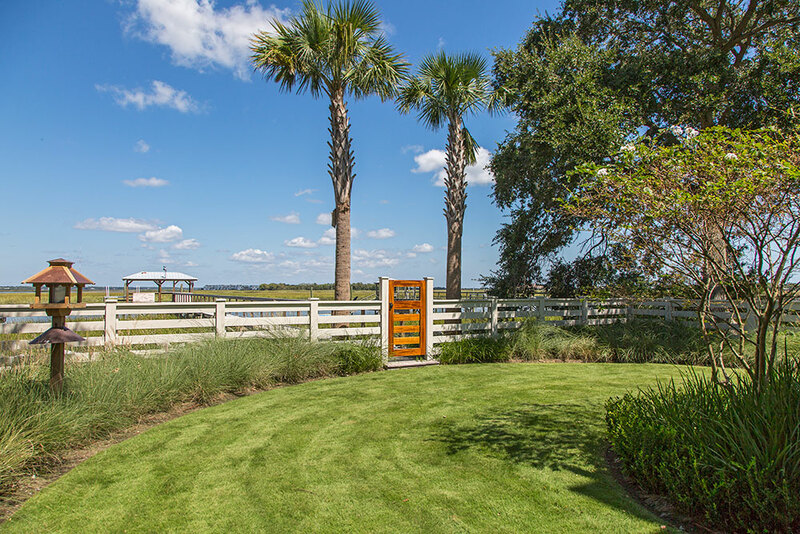 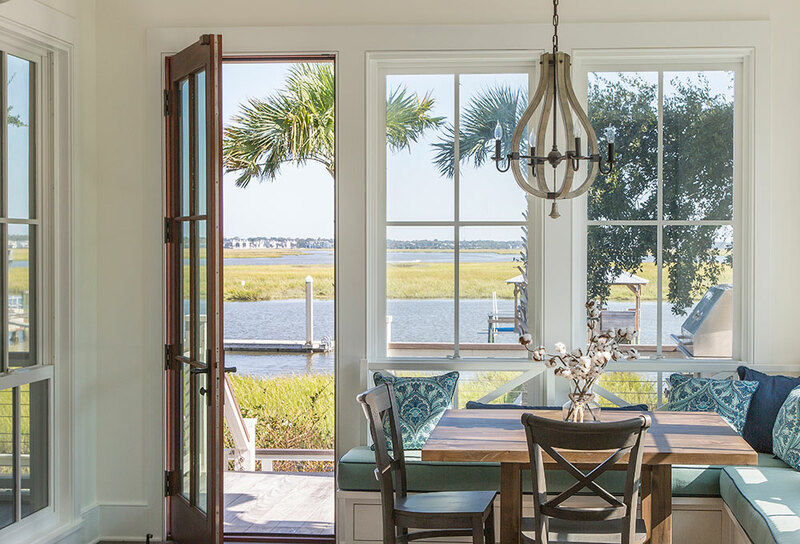 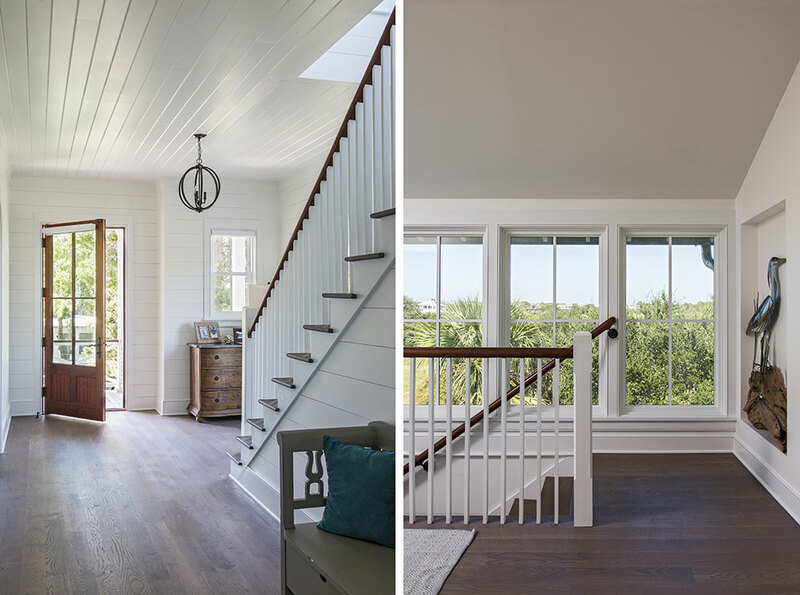 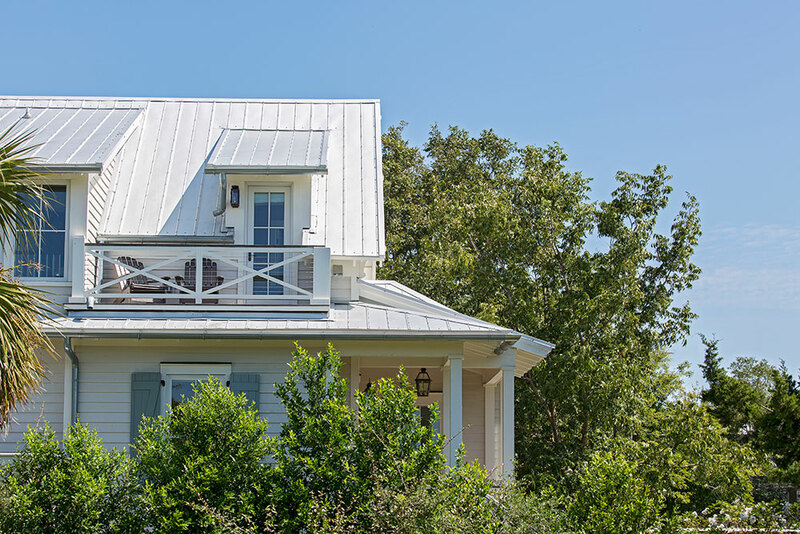 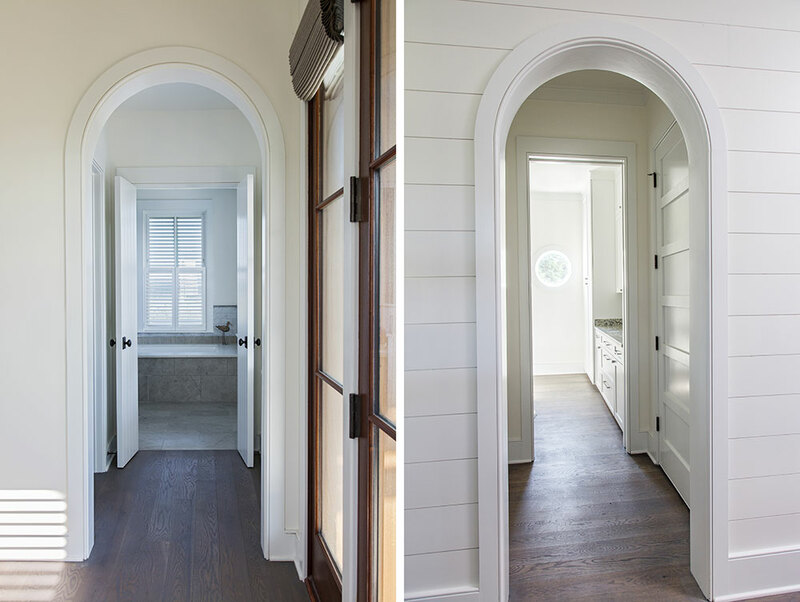 This casual, Lowcountry home is located in the beach community of Sullivan’s Island. 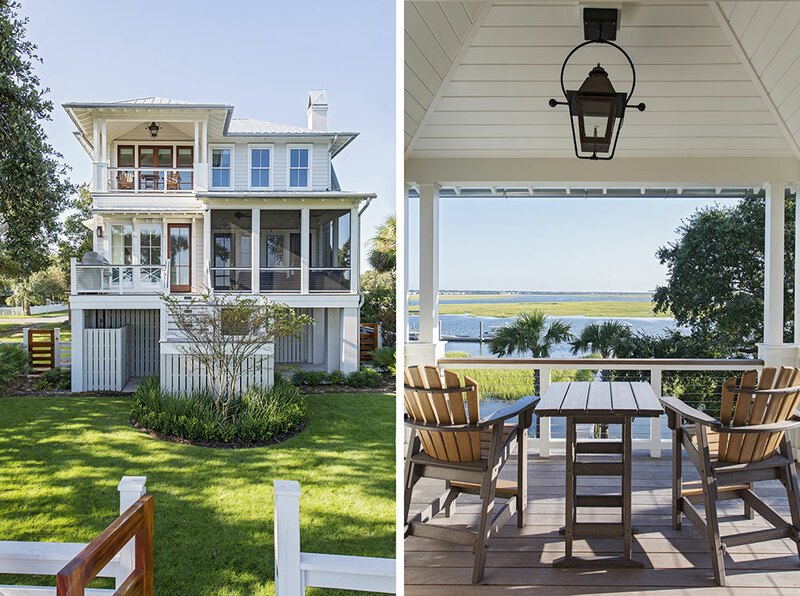 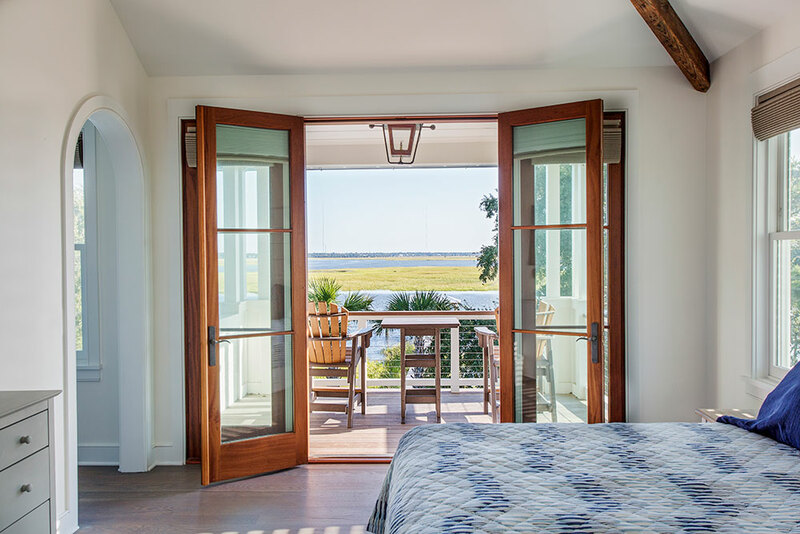 Although narrow, the property has stunning views across the cove to the Intracoastal Waterway, and at high tide, the Master Porch has the feeling of being on the deck of a ship. 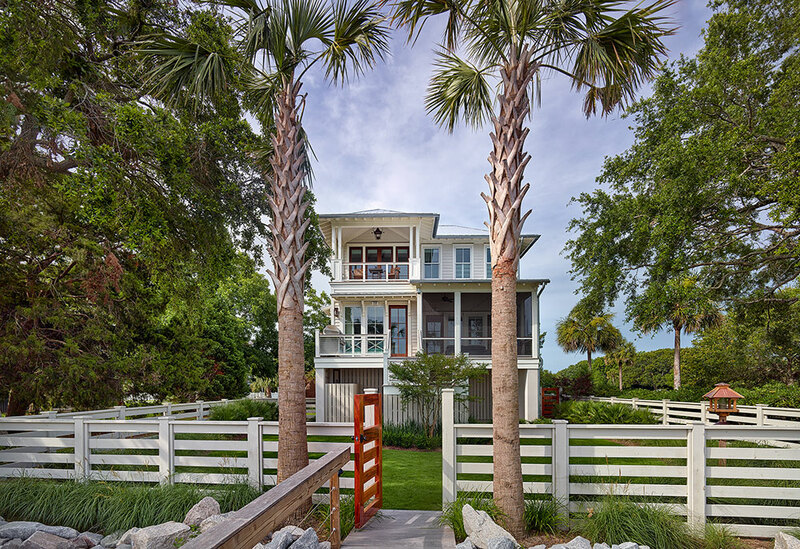 The elevated home is nestled into a lush landscape of native trees and plants, and a mahogany gate leads out to the dock and pier head beyond.